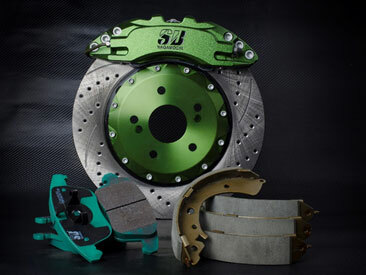 When it comes to vehicular safety, the only thing stopping your car from eminent collision with an obstacle or another car is your brakes, and having a good set of brake pads like those SB kits from RMP NAGAMOCHI TECHNOLOGY CO., could play a major role in actually avoiding such accidents in occurring. 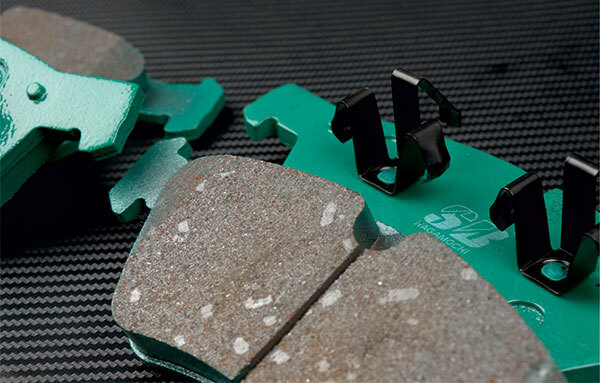 Many aftermarket brake pad manufacturers simply use just one material across the board for different applications; as such it results in reduced performance in some cases. RMP NAGAMOCHI use a number of different formulations in SB range individually preselected for each vehicle class. We have compiled this guide to enable drivers understand all aspects of brake kit works and help them to pick the best brake pad for their cars. Always remember a brake pad must not only create sufficient grip on the rotor but the grip must remain constant throughout without being wildly affected by the rotor's temperature. A good brake pad like SB should give you a grip that's equal to your pedal touch for a nice and sensitive feel whenever you slam on the brakes, this is crucial especially in today's heavy traffic conditions. Perhaps one of the most commonly over looked factors when it comes to traffic accidents whereby the vehicles could not stop in time; your brakes must have be heat resistant or able to dissipate heat quickly in case of emergency braking maneuvers. To test how good your brake pads fare against brake fade, drivers can try it by applying multiple emergency brakes while moving fairly quickly downhill. Your brake pads must work for you even on the very last brake in emergency situation or when you driving down very steep hill. It takes about 500km before a new set of brake pads are properly run-in. Drivers should not just rely on first impressions instead give it some time to reach its optimum level of performance which should last right up to the end of its service life. Some brake pads are too abrasive and as such will actually damage your car's brake rotors over time, this could even lead to expensive repair costs should your rotors become so badly damaged they become unusable. Hence it is important to look out for a non-abrasive brake pad like those SB made on non abrasive base that should allow you to use the same rotor for all your car life. Many times, drivers usually change their brake pads when the brakes emit a loud screeching noise whenever they brake, but did you know that this noise could also be generated by incorrect installation of the brake pads or poor brake rotor condition. For optimum performance, even the smallest of parts like the shims, sliding clips and pins have to be properly installed and lubricated with the correct grease like the SB - anti-squeal grease which comes with each SB Brake Pad Set. The biggest concern with many drivers is how long are the brake pads going to last. Hard and abrasive brake pads tend to be able to run longer distances but the damage they cause to your rotors far outweigh the savings incurred. 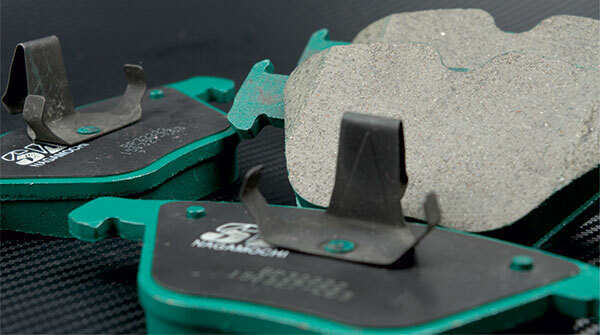 SB set of brake pads from RMP NAGAMOCHI should allow you to drive about 40,000km before they are worn out. But this is also dependent on your driving style and the current condition of your rotors. Brake pad dust usually forms your rims because manufacturers use steel fiber with carbon graphite as a lubricant in their friction material when producing brake pads. Others just use clay or normal soot; these components contribute to increased brake pad dust making your rims appear dirty. Dustless brake pads like SB are more costly to produce but are beneficial to drivers not only for aesthetically but also for health reasons.